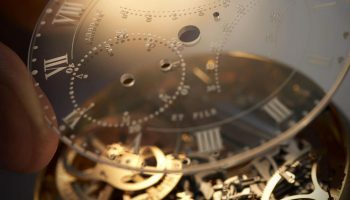 Berlin stands for trends, Glashütte stands for technology. 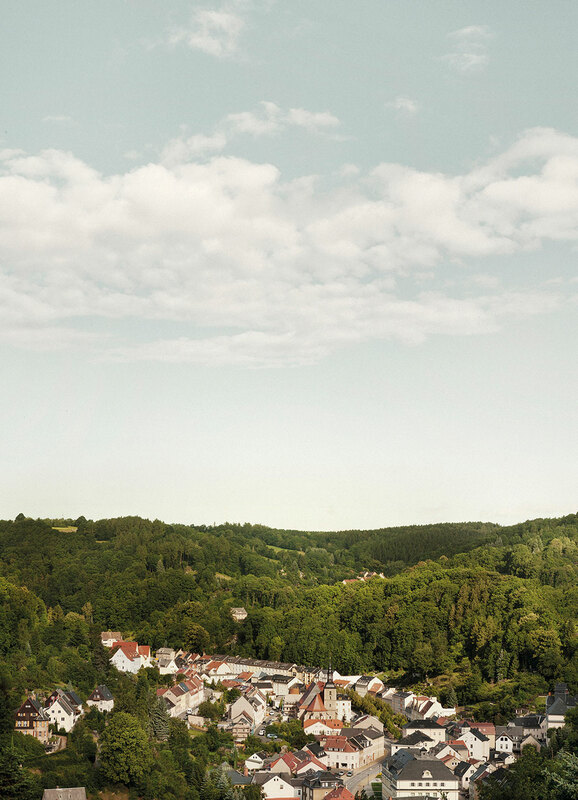 The German capital and the village in the Ore Mountains are absolute opposites. 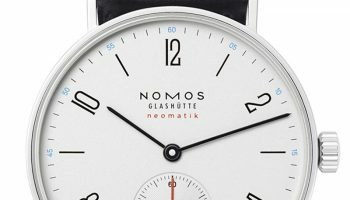 Nomos, which is based in both towns, is able to bring together these extremes in watches that fascinate us when it comes to movement technology, design and philosophy. The taxi ride from Tegel, the antiquated airport of Berlin that is still in use only because the new Brandenburg airport still isn’t operational five years after its scheduled completion date, to the neighbourhood of Kreuzberg, generates a nostalgic music moment in my mind. 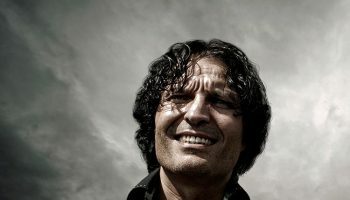 In the 1983 song ‘Over de Muur’ [Over the Wall] (the Cold War was still in full swing and the Wall would not be torn down for another six years) the Klein Orkest wasn’t just singing about the lack of freedom in East Berlin but also about the situation in the free Western district. “But what does that freedom mean, without a home, without a job? So many Turks in Kreuzberg who can barely make a living.” When the Berlin Wall was still up, Kreuzberg was also referred to as ‘Little Istanbul’ and this district was the most densely populated area of Berlin. This neighbourhood, which adjoined the Wall, was packed with migrant workers, hippies and artists. Unemployment was high, conditions were deplorable. Today, in 2016, the neighbourhood is still an eclectic mix of cultures, but the stifling, walled-off atmosphere is gone. Hip restaurants, cocktail bars, clubs, design studios, galleries and trendy shops abound in the once-again-flourishing Kreuzberg. 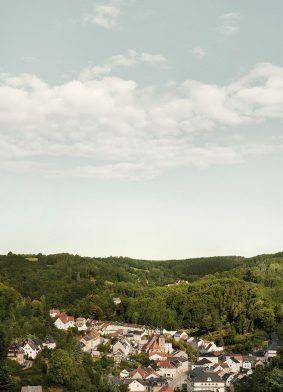 This is the environment that is home to the creative brain of Nomos Glashütte. The space is large, tall and light. 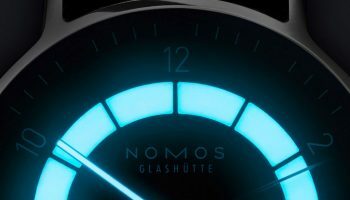 You could say that at Berliner Blau – the name of the creative agency that is part of Nomos Glashütte and works exclusively for the watch maison – the interior looks like a Nomos watch; orderly, efficient, well-thought-out. Unsurprisingly, the Greek word ‘nomos’ means order and a fair division. Since its establishment in 1992 Nomos has been making a name with watches that do more than just display the time in a strictly ordered manner. 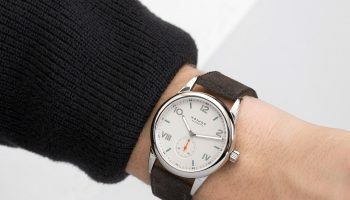 Nomos does what its name stands for, and has ‘democratised’ haute horlogerie by combining traditional craftsmanship and clear design and by aiming to make the best possible watch and selling it at a reasonable price. This way of working corresponds with the principles of the Deutscher Werkbund, a design movement which, like Bauhaus and the Ulm Design Academy, fits in with a rich German design tradition. 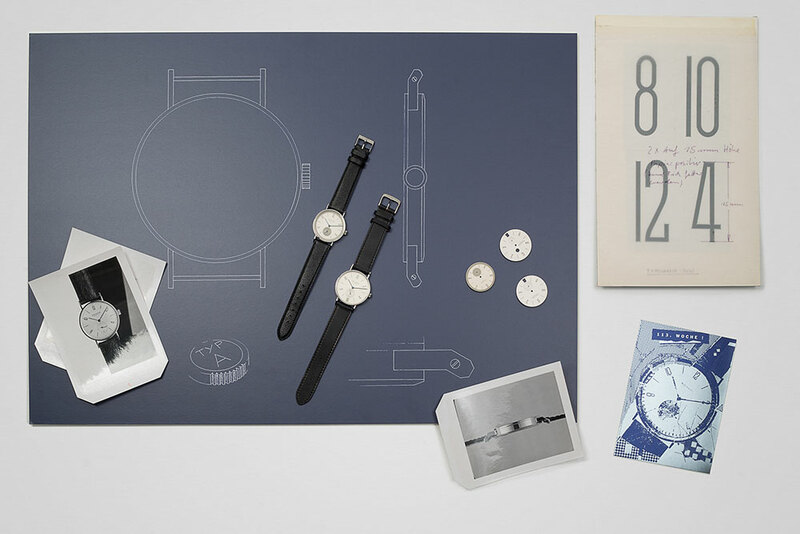 Nomos doesn’t call its collection trendy, but does consider it contemporary. However, the new ‘champagner’ models reach for the boundary between fashionable and modern. The introduction of the new manufacture movement DUW301 has resulted in a series of ten watches with the subtitle Neomatik; a reference to the automatic calibre. The existing Tangente, Orion, Metro and Ludwig models, as well as the completely new Minimatik model, are fitted with this movement, which is made in Glashütte, and are available in a variant with a white dial and black strap plus the version with champagne-coloured dial and strap. The neon orange details pop on the ‘champagner’ watches, a colour that also highlights and emphasises the current fashion. The use of strong, surprising and sometimes even provocative colours is a Nomos specialty. Part of the wall in the Berlin office is covered in pictures of watches with dials in incredible colours. Incredible because alienating colours initially look daring, although they do grab the attention, and incredible because of the unusual names that instantly define the ‘feel’ of the dial. How about the blue shades ‘Bergbachblau’ – Mountain Lake Blue, ‘Schwimmbadblau’ – Swimming Pool Blue and ‘Montagsblau’ – Monday Blue? At Nomos, colour is a complication in itself. Judith Borowski is the Creative Director at Nomos and a former journalist who has studied art history and criminology. Borowski agrees with the assertion that colour is a complication at Nomos. “I am very interested in colours. Colours in art, in nature, in architecture, in industrial design, you name it. That’s why I get closely involved in the realisation of the colours we use. Colour is something we can use to distinguish ourselves as a brand. Incidentally, we now also have a designer in the studio who specialises in shades of grey. 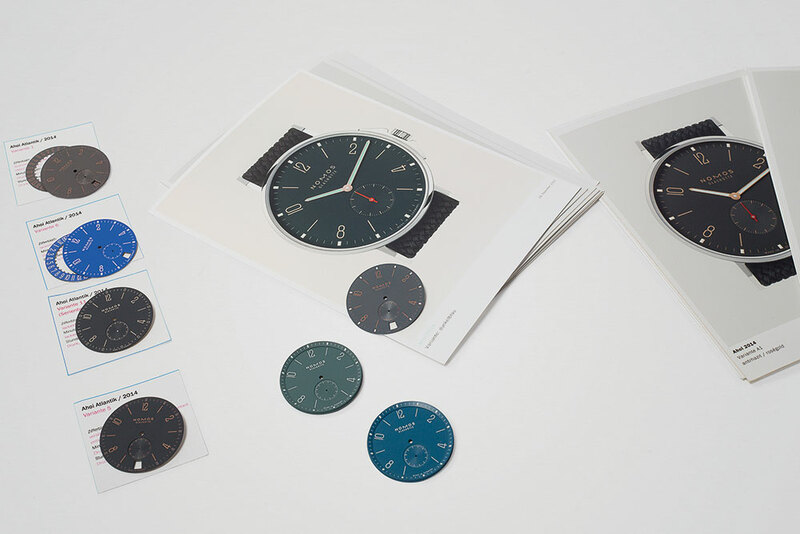 Manufacturing a coloured dial is the next complicated step. It is a tricky process to get the colours and nuances just right.” Borowski gets up and walks to a chest of drawers just outside her office. She opens a drawer and what comes out looks like a flowerbed of dials; all kinds of reds, oranges, yellows, blues and greens. “These are prototypes and dials we have taken into production”, Borowski explains. “Some colour combinations are too radical to use, but the only way to find out is making a real dial.” The colours for 2016? “Yellow and silver”, colour fanatic Borowski answers resolutely. The Nomos movements may not be chock-full of complications – the Zurich Worldtimer is the most complicated watch in the collection – but technology is a high priority at the is ‘Made in Germany’ and that means that the movements are designed, developed and produced in-house. Manufacture without the ‘manufacture price tag’, it can be done. The number of movements made by the small, independent maison is impressive. In 2015 Nomos had seven manually wound and three automatic manufacture movements at its disposal, and this year the automatic DUW3001 has come to fortify the ranks. Whereas the ‘desk dwellers’ in Berlin display the sense of balance, proportion and colour, in Glashütte, where 140 people work at Nomos, it becomes patently clear that we are not just dealing with form, but definitely also with substance. 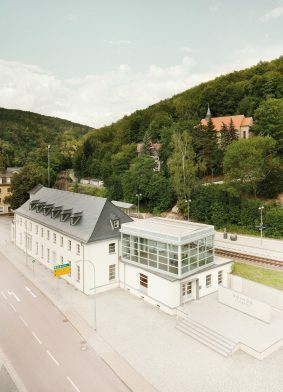 The fact that form and substance go together very well is proven by the people who work in the old Glashütte train station. The trains still pass by the building that has been converted into offices and a production facility, although they now stop a little further down the track, outside the new station. On the other side of the tracks is the new, megalomaniac building of Moritz Grossmann, on the other side of the street Glashütte Original, and just down the road A. Lange & Söhne. Here in the old station it smells like oil and metal. On the ground floor movement components like platines are made out of steel and brass. In Berlin they do the drawing, here they do the metal punching. The more detailed manual work is done elsewhere in the village. After a short uphill walk through the extremely quiet Glashütte, past the small Nomos shop, the church and the watch museum, we catch sight of the Chronometry department. We didn’t see a living soul, although there was evidence of people living here. There are notes stuck to some of the cars parked along the uphill road. It seems a local resident is irritated by Nomos employees parking their cars in his street. In the note he or she asks whether they are too lazy to park somewhere else – apparently there is a designated car park elsewhere – instead of here outside the door. The street is otherwise deserted, the cars are causing no visible congestion or inconvenience. What we do notice is that the note is laminated. This is a well-thought-out, whether-proof effort that can only be described as ‘Germanically thorough’. 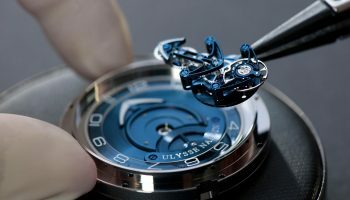 Also typically Glashütte is the ‘Sonnenschlief’, the sunburst polishing of components. In days past this special polishing method helped protect the movement against dust and small metal particles. In today’s dust-free production rooms a sunburst pattern is unnecessary from a functional point of view and serves purely as ornamentation and proof of ability. The polishers are proud of their handiwork and are delighted to demonstrate the difference between the Swiss way of polishing and the German way. It’s obvious that they rate their own method higher and that is backed up by the different components in the tray. The cheerful head of the department emphasises the more delicate, shinier structure being realised in Glashütte and explains in a strong Saxony accent that he can tell from the way a component is polished which of the employees finished the component in question. Despite the cheerfulness polishing is a serious business and is done in a small rented space in a building complex right next to the Glashütte Original manufacture. The company had to set up a third production site because there was no more room anywhere else. 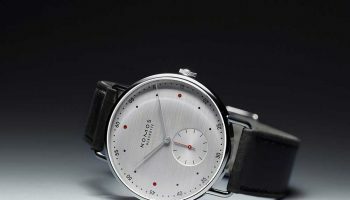 It shows that Nomos is growing, that the brand has confidence in itself and the future, that it has ambitions. 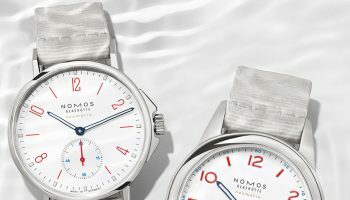 The Nomos that has so far won more than 120 awards – for example, the Metro won a number of design awards including the IF Design Award, but also the Goldene Unruh and the Green Product Award in 2015 – wants more. Apart from the aesthetics, in 2016 Nomos is also showing itself to be a leading movement specialist. The calibre DUW 3001 displays the company’s unique technical abilities with strong democratic values. 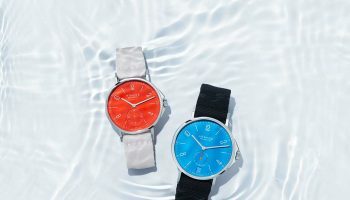 The combination of movement tradition from Glashütte, the ‘Fingerspitzengefühl’ of the creatives in Berlin and a philosophy that, among other things, aims for attainable quality, will be going far. Nomos’ split personality works smoothly and delivers unique results. 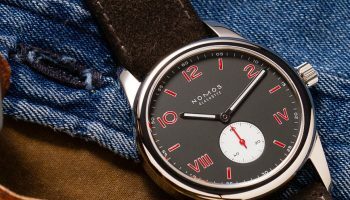 Nomos Autobahn: Highway To Success?